Jason Bourne (Matt Damon) has been in hiding for the past few years fighting for a living, while Nicky Parsons (Julia Stiles) has left the CIA and now is spying on the CIA for someone else. CIA Director Robert Dewey (Tommy Lee Jones) is starting a new black ops program similar to the disastrous Treadstone program that Jason was recruited into. Nicky wants it stopped, and the only person who can help is Bourne. Dewey catches on and wants both Parsons and Bourne eliminated. 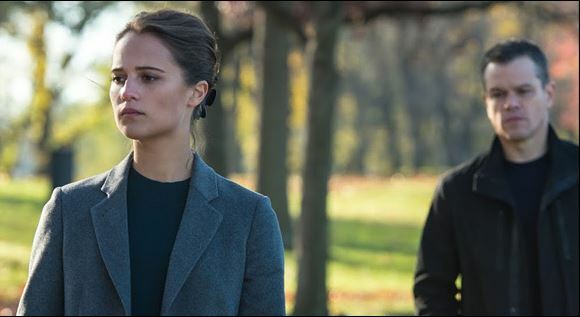 To do this he puts Agent Heather Lee (Alicia Vikander) in charge of the operation, until he deceives her and wants her eliminated too. “Jason Bourne” is a confusing mess compounded by the AWFUL camera work that leaves the viewer unable to concentrate and nauseated. I am hoping this is the last Bourne movie. Ludlum stopped at three, absolutely terrific, books, but, this movie thing (with the terrible horrible camera work) has gone on too far. Time for Bourne to retire.